Despite some serious initial stress due to only TWO ticket agents at the SFO United counter I was able to calm myself down and fly down to the coast to LAX where luckily the transition was easy. I grabbed a quick beer and hit the duty free to hydrate my face with a free sample of the new Dior face serum made with sap from Chateau Yquem vines, seriously! I arrived at Charles de Gaulle feeling relatively refreshed, not sure if it was due to the three seats I had to stretch out across on Air France, the boozy sleep on the plane or the new face cream, but at $350 a bottle I am going to have to assume it was the free wine. 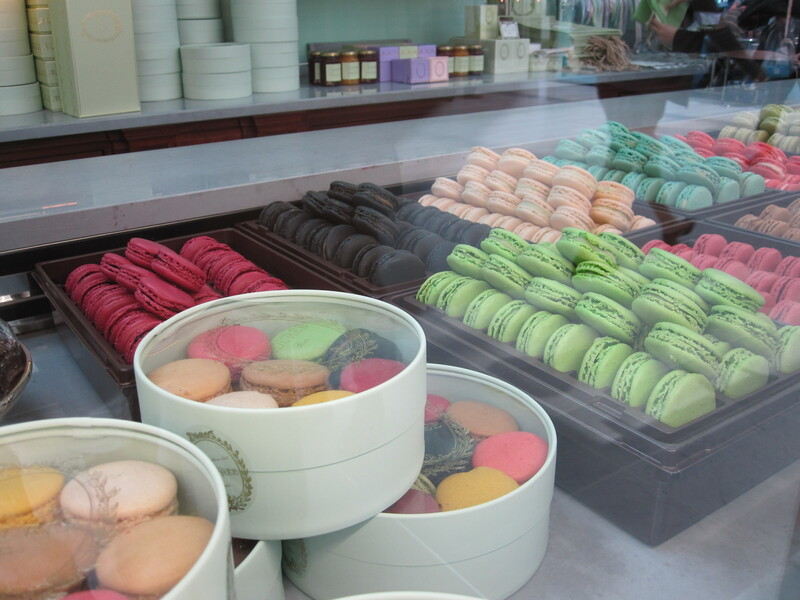 The layover was painless especially due to three macarrons I had from Laduree, Terminal 2F, cassis/violet, caramel fleur de sel and orange blossom. They were AMAZING and well worth the price, 1.5 Euro apiece! Pull and all-nighter the night before you leave, make sure you have lots to do and that you are totally and completely stressed out. Drink beer at the airport before the longer flight, but NOT the first flight and yes get the big beer, at LEAST one. Do not put your head on those pillows, instead cover them with the blanket IF and only if the blanket is in plastic. Never nap after arriving…try to stay up as late as possible and be sure to drink enough that night to make you sleepy. love your blogging! keep’em coming.